walking tour through Milwaukee's historic districts or stroll down Milwaukee’s famous Riverwalk. If the weather permits, a great option for tooling around the city is to grab a bicycle and head for the Oak Leaf Trail, a network of leisurely trails that ramble throughout the city. I may be biased because I am from Milwaukee, but I love it. I can’t recommend visiting at least once. Stop by the Third Ward, head on down to the River Front, visit one of the many beaches, and check out surrounding suburbs/cities. Really cool city. Took the ferry over to Grand Rapids, MI. OMG, that was a big lake!! Its more like an ocean! two and a half hour ferry ride over a lake. Fun Experience! Why invest in gold? What are the advantages and requirements of Gold Investing IRAs? Why do people choose a Gold IRA rollover investment? Is Regal Assets the most reputable gold ira rollover company? My experience in Milwaukee was brief. I traveled from Chicago on Amtrak's Hiawatha train to the airport for a flight home. My time spent in Milwaukee was pleasant and the natives I interacted with were nice. If you have time, don't overlook the Mitchell Gallery of Flight Museum located within General Mitchell International Airport. The museum is free, open when the airport is open, and located outside the security checkpoints. 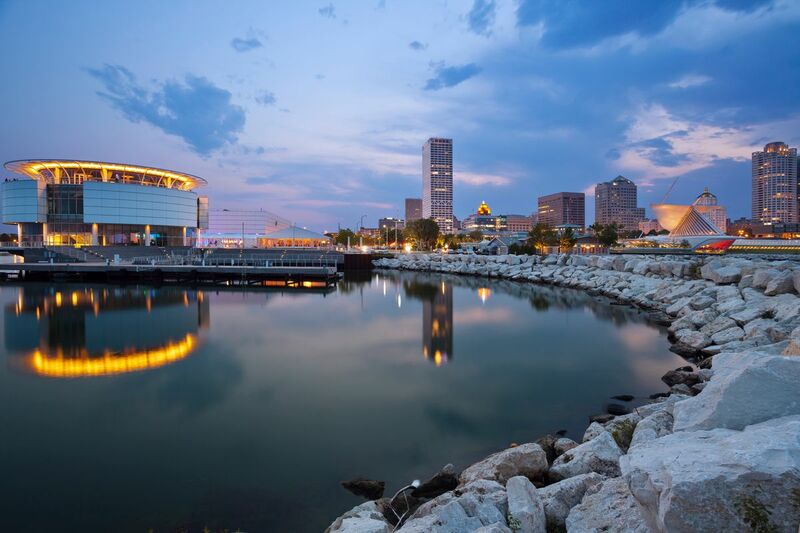 Milwaukee is the largest city in the U.S. state of Wisconsin, the 30th most populous city in the United States, and 39th most populous region in the United States. It is the county seat of Milwaukee County and is located on the southwestern shore of Lake Michigan. According to 2010 census data, the City of Milwaukee has a population of 594,833. Milwaukee is the main cultural and economic center of the Milwaukee–Racine–Waukesha Metropolitan Area with a population of 2,037,542 as of an official 2012 estimate. This ranks the region as the 29th most populous Combined Statistical Area of the United States. I loved taking a mini vacation here! The only major negative that I wad was that public transportation was no where near as wonderful as it is in Chicago. That being said, it was still very easy to get around the city without having to rent a car! I've always loved going to Milwaukee. We are just passing through on our way to Florida. Busy, yet beautiful and poised as a city. Milwaukee is a fun town, with lots to do and great eats! Most of the summer there are open fairs in the parks with good food and local crafts. It is easy to get around. walking downtown is simple, with several bridges and a great river walk. Be sure to get a photo with the Fonz! Known as "Brew City" and the basis for the 70's sitcom Laverne & Shirley, this historic town has much to offer in the way of museums, live music, scenic riverwalk and plenty of shopping. Milwaukee is a great town and an easy day trip from Chicago. Where Chicago is modern, having lost a lot in the Great Fire, Milwaukee still has that great stone architecture. Downtown is vibrant with lots to do. Get there at sunset to see the wings of the art museum close up.